Jack Brewer knew little about boats, let alone the marine industry, when in 1964 he took over management of a 16-slip boatyard in Mamaroneck, N.Y.
Forty-nine years later, what is now known as the Brewer Group owns and manages 22 Brewer Yacht Yards with a collective 6,500 slips and several hundred moorings across five states from New York to Maine. A year-long 50th anniversary celebration is to kick off at the Newport (R.I.) International Boat Show in September. Brewer marinas and yards have a reputation for being well-run from top to bottom, and Jack Brewer was a pioneer in conceptualizing the marina as a destination — with swimming pools, tennis courts and the like — rather than just a point of departure. Each of his yards is profitable, and “we have never sold a marina,” he says. 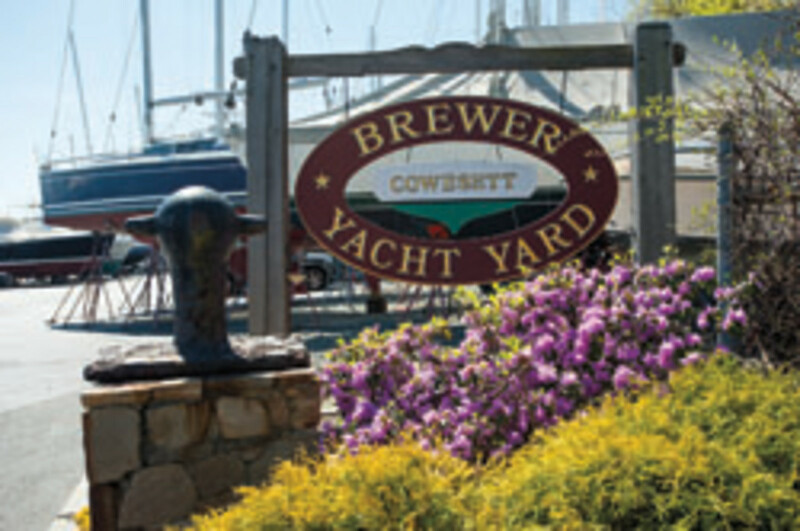 Now 72, Brewer is handing over the day-to-day operation of his facilities to Rives Potts, the manager of Brewer Pilots Point Marina in Westbrook, Conn., for the past 33 years. “I promoted myself and will step back a bit now, and visit the yards about half as much as I have done,” says Brewer, who is now CEO and chairman. “Half as much” means he’ll be visiting each of his yards about four times a year. Potts, 64, becomes president and COO, and all yard managers will now report directly to him. “Rives has an incredible amount of energy. He’s very smart and has a great personality — that’s a great combination,” Brewer says. Customers and vendors can expect business-as-usual under Potts. “Jack’s got some great principles that have permeated throughout the company,” Potts says. Those principles can be found in a document titled “Our Philosophy,” which Potts wrote and has framed in his office. The list of about a dozen declarations speaks of treating customers, employees and vendors with respect, honesty and fairness at all times; building long-term relationships; delivering on what is promised; doing the job right and standing by it; dealing with problems head-on and fairly; and “do not criticize, condemn or complain” about anything or anyone — even competitors. Brewer’s approach of constantly reinvesting in the facilities and his employees, watching expenditures and paying all bills on time has been a successful one by any business standard. “Conducting business in a good manner was paramount to me from the start,” Brewer says. Brewer was 24 years old with a business degree from Rutgers University when he found his way into the marine industry. A short stint at Bankers Trust proved to be a wrong fit, so he went back to school — Columbia Business School. He was a year into his degree when his father, John Sr., approached him with a proposition. “He said, ‘If I buy this marina, will you run it if I leave you alone?’ ” Brewer recalls. That marina was Halls Boats, a tired little facility with about 16 slips and 20 boats in storage in Mamaroneck, in New York’s Westchester County. It was situated alongside R.G. Brewer Hardware, the hardware and marine supply store run by the Brewer family since 1879. Despite having no experience running a marina — in this case a failing marina — Brewer saw his father’s proposal as a challenge and a good opportunity, so he dove headlong into marina management. “I think being new to the business helped me since I had no preconceived notions about anything,” Brewer says. He took over with one employee, Tony, a boatyard veteran who proved to be a great teacher and mentor. “He taught me everything about running a marina,” Brewer says. The yard came with some customers — about 35 boats, all but one wooden (a 34-foot Hatteras) and the largest a 48-foot Chris-Craft. There were no amenities, not even a bathroom. Heat was a pot belly stove. The launch ramp was a railway made of greased timbers. After a couple of years, Brewer removed the marine railway, dug out the mud and purchased a 30-ton Algonac hoist — it’s still in use — then poured cement over the entire yard. This allowed boats to be moved on steel dollies, which he and Tony built, and packed closer together to increase capacity — and revenue. Brewer hammered, scraped, sanded, painted and did whatever else needed doing. He turned his marina profitable, then adjusted his game plan. 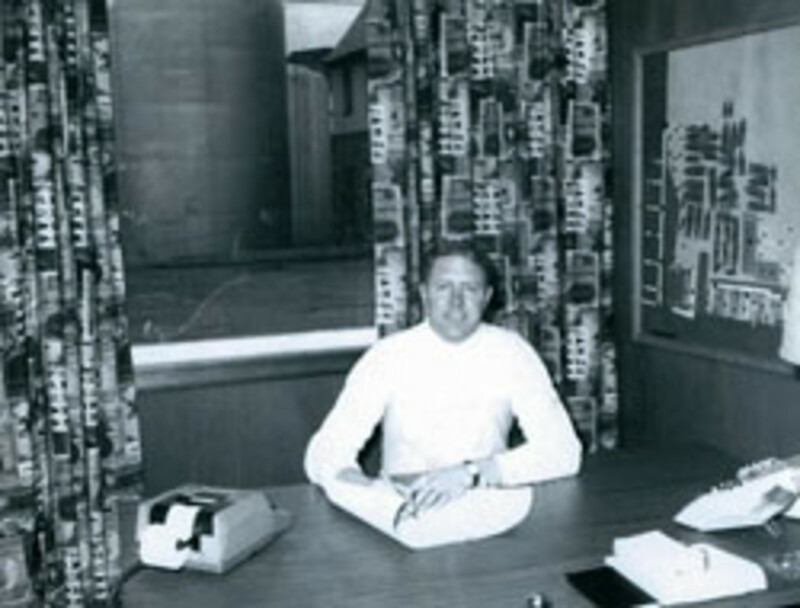 In 1969 he bought Pilots Point Marina in Westbrook, Conn., which had about 135 slips and 15 acres of property. With that, Brewer had to hire his first manager. “I was looking for someone with a strong work ethic and smarts,” he says. “My first manager was a smart guy at Derecktor Shipyards, who went to Brown University.” Brewer instilled in John McMahon his own philosophy of doing things the right way. “I want a manager who will take a property and run it as if it’s his own.” That approach pervades at all 22 yards today. With each new yard, Brewer hires a manager and lets them take charge. The managers hire their own teams and set the pay scale. “I leave it to the manager to find the best guy,” he says. All Brewer managers work at their yards, from running the Travelift to working at boat shows. And manager compensation is based on the yard’s earnings. The Brewer Group offers a health plan, 401(k), paid vacations and profit sharing to its employees, and there is an emphasis on personal responsibility. For example, the health care plan has a relatively high deductible, but it is skewed toward promoting wellness, including strategies and incentives to improve overall health. “To the outside, the company is known to be a good place to work,” Potts says. Inter-company growth potential is also attractive to applicants, he says, as is career growth beyond Brewer. He is proud that seven of his employees have moved on to manage other yards. Training is another integral part of employment at Brewer, beginning with programs run by various engine and systems manufacturers. In 2007, the group began holding in-house mechanical workshops, and in 2011 formalized the Brewer ABYC training program with the goal of having a master technician in every yard. This year, about 80 Brewer employees enrolled in the program, and by next spring the group expects to have 46 master techs on staff, all certified in at least three areas of expertise. Technology has dramatically changed how marinas are run — from business administration to the use of composites to the tools for working on boats and engines, says Potts. “So it’s important for all of us to read as much as we can and learn as much as we can,” he says, so customers can tap that knowledge. To make it on a Potts crew, a good attitude and work ethic, strong skills, loyalty and experience are required. “You’re working as a team. You’ve got to work well and be someone the rest of the team wants to be around,” he says. Both Jack Brewer’s and Potts’ email addresses are published and easy to find by any customer. The company this year launched an option for customers to email feedback — good or bad — directly to the top. At Pilots Point, as well as the Coyest and Greenwich Bay yards in Warwick, R.I., there is a full-time, year-round employee who organizes events and new-customer tours, and maintains customer communication through email blasts, Facebook and personal feedback. “We’re trying to meet customers where they are, as Jack has always done,” Potts says. A Preferred Member Program offers seasonal customers two free nights of transient dockage at other BYY facilities and a fuel discount of 20 cents a gallon. Year-round customers receive six free nights and a discount of 40 cents a gallon. Both are also eligible for discounts at Mystic (Conn.) Seaport, Nantucket (Mass.) 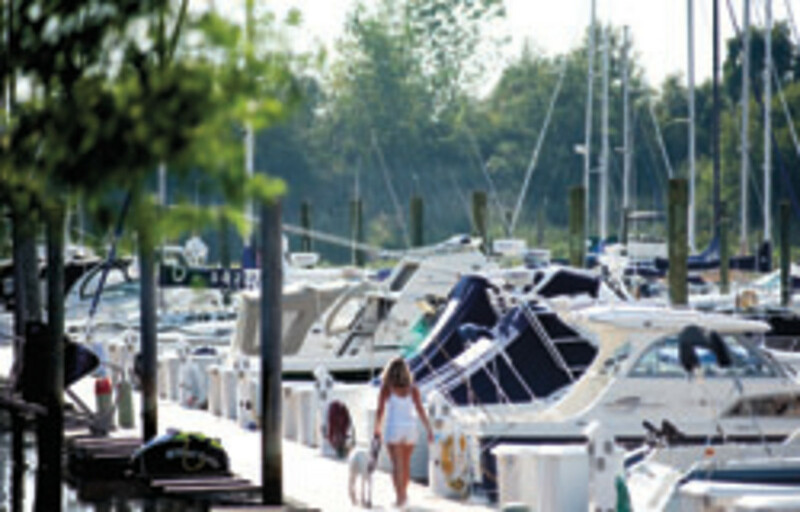 Boat Basin and numerous restaurants, delis and shops, and access to a 24-hour help line. This year the group is offering five Brewer Rendezvous events for customers. Today’s customers are more demanding, want jobs done fast, done right and at a fair price, he says. And the days when boatyards were just not a place “for women and families” is also a relic of the past, he says. Brewer yards are known for their neat appearance — with flowers and well-manicured grounds. “Our strategy is to make the properties as nice as possible and keep putting money back into the businesses. Capital investment is very important,” Brewer says. Brewer and Potts agree that the marina and boatyard business is much more difficult than it was in the early days, from the clientele to the stringent regulations to the constricted economy to the capital-intensive nature of marina operation. “No question the business is a whole lot harder than it was 20 years ago,” Potts says. 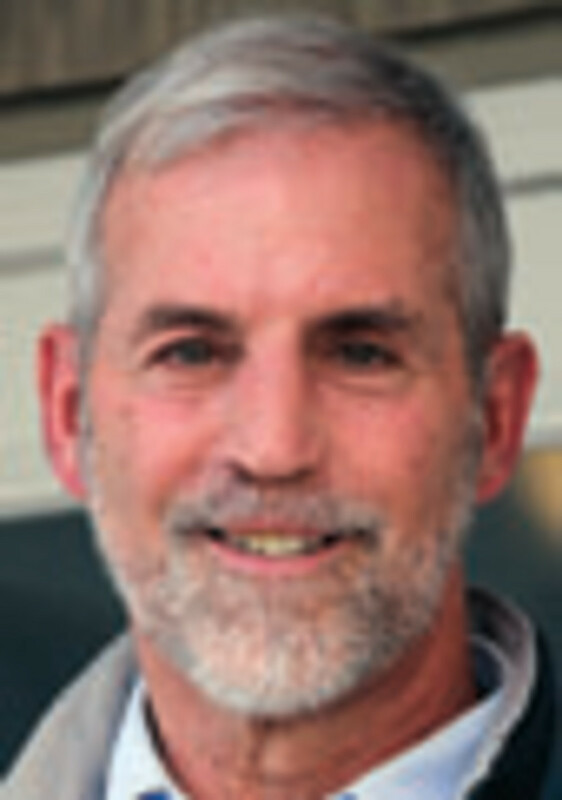 Rives Potts was a professional sailor — project manager and a crewmember — with Dennis Conner’s Freedom/Enterprise America’s Cup campaign in the late 1970s when he was approached about managing a Brewer yacht yard. “I told them I have one thing on my mind, and that’s winning the Cup,” he says. 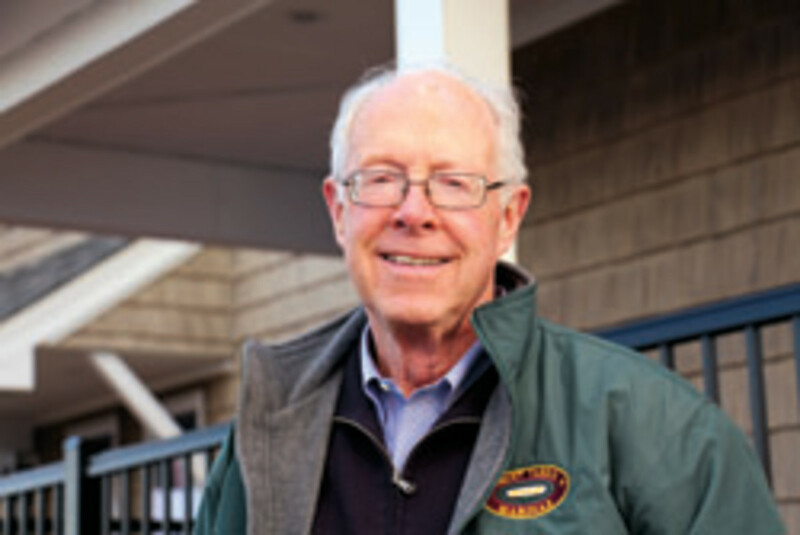 After Conner’s syndicate bested Alan Bond’s Australia in 1980, retaining the Cup for the New York Yacht Club, Potts moved his family from Newport, R.I., to Westbrook, Conn., to start working for Jack Brewer as manager of Pilots Point Marina. “We only had 11 guys at the time,” Potts says. The Pilots Point yard, which he has run for 33 years, now has about 85 employees, down from a prerecession high of more than 100. Even with the new roles for Potts and Brewer, managers and employees will still be seeing plenty of the man at the top. “I visit the yards often. I want to make sure the property is as it should be. You can tell a lot just by walking through,” says Brewer, who knows employees by name and often picks up any litter he spots while walking around his yards. Potts continues to be an avid sailor and is vice commodore of the New York Yacht Club.